In this week’s episode, Christie chats with Heidi Waterhouse (@wiredferret) about the importance of good technical documentation, conference speaking, teaching your kids about InfoSec, and much more. How to Teach Your Kids about InfoSec from Issue 2 and Progress is a Comfortable Disease, from Issue 4 available for purchase now. Heidi’s talk on the Seven Righteous Fights You Should be Fighting presented at the Lead Developer (@theLeadDev) conference. Heidi is @wiredferret on Twitter, her blog is at http://www.heidiwaterhouse.com/ and she also has a Tumblr at http://agilecrafting.tumblr.com/. Christie: Hello, and welcome to The Recompiler. A feminist hacker podcast where we talk about technology in a fun and playful way. I’m your host Christie Koehler. Episode eight. This week Christie chats with writer, speaker, documentarian and Recomplier contributor, Heidi Waterhouse. Heidi, introduce yourselves, yourself to the audience. Heidi: Hi, my name is Heidi Waterhouse and I am a freelance technical writer and I frequently tell people that I either translate geek to english or I get paid by the anti-word which is to say I look at your terrible full documents and I take out all the extra words. In the last couple of years I’ve been really working on promoting myself as a speaker and going around to conferences and explaining to developers what I see them doing over and over again, all the places that I’m a technical writer. Christie: In the hopes that they will learn from that and be able to, is that aimed at getting developers to write better documentation or in getting them to communicate in different ways or? Heidi: The talk that I’ve had the most success with is called The Seven Righteous Fights. It’s about the seven things that people don’t build into their product early enough and then end up having to retrofit at enormous expense. One of those is documentation, but localization and extensibility and accessibility are also huge to do as a retrofit, but not so bad if you do them in the first place while your product is still small. Heidi: That’s a lie. We lie to ourselves about that. The problem is, it’s a compound interest problem. Every time somebody talks to you about how much compound interest matters and you should start saving for retirement early and it’s really going to accumulate, that’s also true in reverse for a technical debt. Every time you push something off, it’s going to accumulate and compound and get bigger and hairier. I certainly understand that people can’t do all the things while they are trying to get a minimum viable product out. I think maybe the definition of minimum viable product needs to include at least some understanding of, especially extensibility and accessibility. Christie: It’s interesting. I think a lot of those things are often seen as end user specific but I also think a lot of these things help when you are onboarding new developers and other contributors to your project or product. Heidi: Yeah, one of the points I talk about is, I do talk about documentation but user documentation is super easy to retrofit. You can hire me to come in and do that and I’ll do it fast and it’s not that hard. Onboarding documentation, if you don’t do it, you have this enormous texts on your existing engineers while you are trying to get somebody else up to speed. At the point where you started hiring new engineers, you are moving really fast, you don’t want have to spend anybody’s ten hours a week getting someone going. If you have to sit there and walk them through the build every time you add someone new, that’s a terrible text. Christie: One thing I’ve noticed too is it if an organization has gone to the point of writing through onboarding documentation, it’s not necessarily kept up to date as the workflow changes. Christie: In a way having something be a little raw and unpolished actually invites contribution? Heidi: Right and I want them to say, “Why do we even have that button?” They are much more likely psychologically to do that if it looks like it’s not a finished product. Christie: Because they end up thinking more about the sort of workflow and the way that they are going to interact with it? Heidi: Right, and they don’t get distracted by trying to mold themselves to an existing product. Instead they are like, obviously we can still shelve stuff around here, it’s not done. Heidi: Absolutely, I think a lot of us look at a software and we are like, “That’s another thing to learn,” but we never say to ourselves like, “What would make this better?” How would that be easier to use? Because we are so trained, especially I think senior people were so trained to learn new software and like that’s what you are stuck with. Welcome to the company. This is what we are using. Christie: That’s so not me. I am usually the first person to be like, “Who designed this? This is terrible, we’ve got to fix this.” It doesn’t always win me favors. Christie: Quite often not, unfortunately. Conference speaking, I’ve been thinking about this recently because I’m a year out of leaving a high paying tech job with travel reimbursement and it is really hard to go to conferences when you are an independent consultant. Heidi: Let me talk about this because I think it’s super important to say. First let me say, I really liked your OSFeels talk. Heidi: Thank you for saying all that. I, for the first year I was doing conference speaking, my spouse and I accepted that we were going to run at a deficit and I paid for like my travel and stuff. In this year I’m only paying for two conferences, because they are conferences I would go to anyway, like Write the Docs. All of the rest I submit, I usually submit three or four talks, depending on what the conference focus is. Then if I get accepted I write back and I say, not, “Can you give me money,” but, “Great, what’s your speaker package?” Frequently people will be like, “Aah,” I’m like, “I’m an independent consultant and I’m not going to be able to accept this unless you can find me some money.” I’ve only gotten one, two honorariums, one was from OTA Conf and one from the Lead Developer, which by the way is a super fabulously run conference. I’m going to four conferences this month and everybody has managed to find travel and lodging funding. Christie: That’s great, because I know a lot of times honorarium doesn’t fully cover travel, especially if you’ve got to book a plane ticket and hotels are expensive. Heidi: They really are. The hotel is frequently more than the plane ticket. There are ways you can foot that. You can ask the conference to help you find a roommate like, Write Speak Code had a bunch of us stay at an Airbnb, there were like four speakers staying at an Airbnb, which I thought was, it was kind of nice because then we could be all collegial and talk to each other afterwards. Christie: They helped sort of facilitate that? Heidi: Yeah, and they paid for it. Heidi: It cost them a lot less than a hotel room for each of us. We each got our own room. I shared a room but, we didn’t have to pay for it and they saved enough money to make it feasible for them to offer financial aid. Christie: Have you had to say no to speaking acceptances because they couldn’t cover travel? Heidi: I have. At that point I say, frequently it’s because they are small or don’t have the money. I’m like, “No hard feelings. This is why we are doing it early, you can accept someone who is still on your list, but I just can’t afford to make that work.” They are sort of like, sad face. I’m like, “Next year if you have any funding, you are welcome to invite me back and I would certainly love to speak at your conference. I’m really excited about what I have to say for you guys.” I’m not flying to Upstate New York or wherever at a loss, I just can’t do it. Christie: Was that something you had to work up to, that sort of ask? Christie: What do you mean by membership in this case? Heidi: Whatever the full price ticket is. If the conference cost $1,000, I really expect them to be able to come up with $1000 for me. Christie: In addition to waiving any registration fee? Heidi: In addition to waiving any registration fee. I’m surprised by how often small community run conferences will bend over backwards to make that happen and how much big industry conferences are like, “Sorry Charlie.” I use, what? Christie: Why do you think that is? Christie: Do you think a part of it is that they expect people’s companies to send them to? Heidi: Absolutely, I think almost all big conferences are predicated on the idea that your company will pay for you to go. They are more like trade shows. That’s fine, that’s certainly a reasonable model. It always makes me wonder where the money goes. I know it cost a lot to run a conference like events space and catering and insurance and swag, and there is a lot that goes into it, but does not seem to me like a thousand people at $1,500 or $2,000, you could be losing money on it. Christie: It’s hard to know what the actual balance sheet turns out to be but I think what it tells you is something about their decision making and their priorities and what not. I know what you mean. Christie: That’s where I think you get more of the community feel from any community building aspect. I was going to ask you something about something and now I’ve forgotten. This is a terrible interviewing technique. It’s gone. It may come back. What else about sort of, what sorts of things helped you to be able to make that ask for travel funding? Heidi: Carina Zona is sort of my conference speaking mentor. Every time I would get an acceptance and they wouldn’t mention anything about money, I’d turn around and say, “Carina,” she’d say, “Have you asked them yet?” Also I read a bunch of blog posts on negotiating and how it’s important to be able to learn how to do that. A woman called, I think Leslie Paul gave a really great talk on negotiation strategies for women, which I think is super important because everyone keeps saying, “You should negotiate more like a man.” If women negotiated like men it backfires on us. We don’t get the same reaction as men do. Christie: Because the same behavior is not necessarily considered acceptable, optimal or whatever. Heidi: Right, but she had a really great way of saying, “Look at how this is a mutual arrangement.” This isn’t a conflict, which I think is how I’d always thought of it before. This is a team sport where we are both trying to achieve our optimal outcome. Christie: From the point of view of the conference organizer, they are trying to put together a high quality compelling program which involve you and from your point of view you are trying to be able to share that content and get to the conference without going into debt? Heidi: Right, and so it’s less like, I require these things from you and more like, how can we together make this work? Christie: That makes a lot of sense. Heidi: Reframing it that way. I’m really conflict averse, I do not like making people unhappy or uncomfortable. For a while there I’d felt bad saying, “I know that you are spending a million dollars on vegan food but also I need some money.” Now it’s like, I’m just one of the expenses and that’s hard on conference organizers and conference organizing is hard, and they have to figure it out and that’s not my problem. Like sort of dialing back my empathy a tiny bit. Christie: Yeah, because if you go around taking on everybody else’s problems, that’s going to get overwhelming very quickly. Heidi: That’s what my shrink says. Christie: I’ve been on both sides of this, having organized Open Source Bridge for a long time and I think, it got me thinking a lot about sustainability of these community tech conferences in general because for the most part we’ve always organized Bridge entirely with unpaid volunteers. The ability to fundraise varies from year to year and so do companies’ interest. It’s hard to prioritize coming over the huge travel budget when you’ve got all these volunteers that have been putting in hours a week to make this thing happen and aren’t getting paid. I started thinking about what if we, it’s sort of like how you said, building accessibility and localization and documentation into a product from the beginning. It’s really important because otherwise you get that compounded technical debt. I sort of feel that way about community conferences. Just like, building that stuff in from the beginning and figure out a way to always raise enough money to have a travel fund for speakers and things like that, rather than trying to bolt it on once you are eight, seven years in. Christie: Yeah, $1,000 of a weekend hotel is a lot harder for an individual to absorb than most, even smaller companies. Christie: How do you make sure that when you get accepted and you end up going to a conference that you maximize that marketing aspect? Heidi: I have some really hard business cards, they are super awesome. I give them out like candy. They say things on them about my attitude about writing. One of them says, better and cheaper than making your developers write it. People love that one. Also they love, user documentation is a failure of user interface. I had those out and it’s really sticky for people, and I pay good money for the cards. I go to Moo and I pay like, they are like twenty five cents a card. Which doesn’t sound like much until you order two hundred of them, right? Heidi: It’s certainly worth it, it’s just sort of like … The other thing that I do is I am always available for hallway track. I give my talk, I’ll answer questions, I’ll mentor people, I’ll sign up to be a conference mentor or I’ll sign up to be a speaker mentor because all of that is building my ecosystem. I don’t really like the term networking but I have this ecosystem of people who I’m pulling up like, I’m teaching a bunch of people how to do lightening talks. I have a bunch of people who I’m looking up to, who I’m like, “Hey, how did you do that thing?” The more I build that, the more I find that organically I find work. Christie: Do you find that there is sort of a lead time like? Heidi: Yeah, one of the interesting problems I have is, I just got killed by Brexit. I totally lost an awesome contract because this company OTA and I were going to meet the day after the vote and he was just like, all of my savings are gone because of the drop in the pound. He couldn’t afford to hire me and he is like, “I’ll call you back when we get our stuff together.” I was super mad. Thanks to all this. Christie: That’s astonishing. I heard sort of that, Britons are going to be really impacted but I hadn’t thought about such an immediate impact over here. Heidi: I was therefore, because I was at The Lead Developer. It happened in the first night. I woke up in the morning and the pound had dropped by like twenty cents, which is huge. Christie: Minor, major, that’s the time to get more dollar. Heidi: I did. I totally went and pulled a bunch of pounds and I bought some amazing fabric in London. I did a little of typical London stuff, and I also trekked like an hour out on the tube to Walton Street and bought no kidding, twenty two kilos of fabric. Christie: That’s one way to make lemonade from the Brexit lemons. Heidi: Yes, but it was really, my lead payments months and I usually try and have a couple projects running simultaneously. If I’m doing really well I stagger them so that the push deadlines don’t come at the same time. I was talking to Shu Ki, and she was preaching the gospel of passive income. I think I need to start really looking into how to make that work for me where like, what she does is she’s put up some classes on through her site and they just keep generating income for her. Christie: You do a big chunk of work and then it’s put somewhere on a platform or something that generates some kind of residual income regularly? Heidi: Yeah. I imagine that was what writing books used to be like, back when books paid out any kind of money. Christie: Do you find that if you are getting travel support, and or an honorarium for a topic you like put more into it? Christie: Kind of like you here on me time more. Heidi: Right, but if these people have paid for me to be here, I think it is definitely not just my talk, it is all of the value I add around the talk. Christie: Your sort of visibility as a speaker and the mentoring and being available, things like that? Heidi: Exactly. I will totally sign up to do all of your speaker mentoring. I will go to your women in technology meetup, even though they give me mild hives. Whatever it is, I’ll also frequently look around and see if there is a user group meeting around at the conference, in my travel window, and see if I can go talk to them. Because user groups love people from out of town but of course can never really pay for them to come in. Christie: Yeah, and since you’ve already got the travel covered. You can get an extra audience and provide a little more content. Heidi: Right, and it’s useful for that whole community. If I go to Pittsburgh for abstractions and I also happen to hit up one of their technical writing user groups, then I’m not just serving the code people and conference people but also the ecosystem around that. Christie: That makes sense. For those who are listening and who haven’t done any conference speaking or are really brand new, do you have any advice or words of wisdom or tips for them? Heidi: I do. First of all, don’t be afraid to be visible. If you don’t know me, you do not know this but I have a pink mohawk, a hot pink mohawk. I joke about this when I’m stage and like, “You can find me later to talk to me because I’m kind of easy to spot,” and I gesture my hair. I’m like, “I’m almost six feet tall. I’m certainly six feet tall once it’s spiked up.” It turns out that a six foot tall woman with a pink mohawk is in fact pretty easy to find. The value of our talk is in making people think a little bit, whether it’s about how to use the new technology or how to change a practice that they are doing. A lot of times people need a little reinforcement on how that applies to them. I always tell new speakers to be ready for that, that people are going to come up to them for the rest of the conference and say, “I had a question about,” it won’t always be in question time. I’m really like turing on the whole issue of audience questions at the end of a talk. Christie: They can be valuable or disruptive and you don’t really know every time. Heidi: I think they are super anxiety producing for new speakers because I think people who are anxious about speaking do a lot of preparation and they have it very scripted in their head. Then somebody asks you a question that requires you to think on your feet and extrapolate a bunch of data and you may know it if you are not on a super crashy adrenaline jug from having just done a public talk and you are scared of that. I think it’s really hard on people who are anxious about speaking to try and do quick thinking. Heidi: Exactly. I frequently say that at the beginning of talks. If it’s a talk, I don’t want to take questions during, like I gave a talk about whistle blowing. I don’t let anyone ask questions during or after it because it’s frequently recorded. I don’t want anyone to ask a question they would regret having on tape. I am super scared of that one happening. Also, I want that time for my talk. I have traveled, my trouble is not filling time, my trouble is remembering to stop within a respectful time. That’s another thing I would say. It is super important that you not go over time as a conference speaker, because you set off a casket of dominoes that cannot be corrected until lunch time if at all. Christie: What are some ways that you make sure you stay on time? Heidi: I have a slide clicker. It came with, I paid for the one that had the feature where it would buzz in my hand if I had like ten and five minutes. Christie: You can set, my time to talk is forty five minutes, and then it’ll? Heidi: Go off at thirty five minutes. Heidi: If I have speaker notes, I use Google Slide right now. I’m looking, maybe I want to do Keynote but right now I’m using Google Slide and it has a ton of amazing features and they just added a whole speaker note section that includes a running time. If you have a screen you can see your speaker notes on, you should really use something like that so you can tell how long you are taking and sort of pace yourself out better. Heidi: If you run out of time, if somebody comes to the back of the room and waves at you or holds up a sign that says one minute or whatever, stop. You’ve just gone over, you can’t fix that, I’m sorry. You can’t keep talking. Christie: I think also, I don’t know if this is for you but I know sometimes the pacing of my talks can change based on how much I’ve practiced it and if I’m really nervous I’ll just talk really fast and then all of a sudden there is ten minutes left where there shouldn’t be. Heidi: That happens to me all the time but it’s worse because when I get an audience I get expansive. Christie: Like you add things? Christie: That’s where the timer comes in. Heidi: Exactly, because I know this is a flow of mine and it really screws me up because I can’t practice for it, I can’t practice for having unappreciative audience. Christie: You have two really great pieces, in two different issues of The Recompiler. I wanted to talk about those a bit, especially for those of audience who maybe haven’t read them yet. Christie: The first one initiatives, how to teach your kids about InfoSec, where did you get the idea for this article? Heidi: This is actually a companion piece to my son’s first technical talk which he gave at AlterConf Minneapolis. I’m so proud, ridiculously proud. He talked about how ridiculous it was that we restrict kids from the internet and yet expect them to have good habits about it. You can’t learn anything if people assume that you were too stupid to be allowed out. Christie: In the article you say, “We don’t let sixteen year-olds hop in the car for the first time and zoom off. we have a graduated system for educating them about the theory and practice of driving.” You sort of say like, we need something like that about the internet. Heidi: Right. My kids being the children of technology have always been online and had email addresses since they were born. As part of our free range parenting philosophy, we don’t do a ton of monitoring on what they are doing, because we are like, you know what? We are going to give you some information about what’s safe and what’s not. We are going to be reassuring, if you get yourself in a jam and we are going to see what happens. Either I have pretenaturally excellent children which may be true or we have done so much fear mongering that we don’t trust children anymore. My kids have not really gotten themselves in the jam yet. Christie: I really like how you make a point that like you are sort of saying, you don’t need to pry into their Snapchapts, or their Facebook history or whatever. You can look for signs that something is gong wrong just by observing your kids rather than spying on them. Christie: Is that, It’s Complicated? Christie: Also, how do you learn if you don’t have periods of time where you are on your own to make decisions and see the consequences of them? Christie: Then they develop the faculty to ask that question of themselves when you are not around. Heidi: Yeah, that is my goal. I hope to send them out into the world as adults. I think a lot of parents are raising children. That’s what they think of themselves as doing. I am raising adults who happen to be children right now. Christie: That’s great. I also love how you make a point that normalizing surveillance isn’t a good thing. You say, “Don’t interfere without reason. Unreasonable search and seizure provokes resentment in both American revolutionaries and teenagers,” [inaudible 00:36:12]. If we normalize surveillance then we raise an entire generation that has never had private thought or expression. How much of your favorite dystopian fiction starts with that premise? Christie: Do you really want to model yourself as like corporate overlord, is that the relationship you want to have with your kids? Heidi: Exactly. I don’t want have to maintain like firewall rules that prohibit them from finding things it wouldn’t occur to me that they wanted to look up. Christie: I also think it just models bad intermittent relationship dynamics. Heidi: Yeah, terrible boundary. If you grow up like that, how do you know it’s creepy when your boyfriend wants to know everywhere you’ve gone? Heidi: That’s just a sign of love, that’s how my parents did it. Which is not to say, I do in fact have Google Locations on for my kids, but it’s mostly, they also have it on for me. It’s more like a whole family, where are you right now? I don’t know. Christie: That can also be helpful. It’s like, didn’t mom already go to the store or not? She’s clearly on her way back or something. Heidi: Right, and because we give them the same transparency, I think it feels much more equitable and less authoritarian. I will say that all of that is a vast position of privilege. I just replaced my kids’ phones which were two years old, with last year’s flagship phone. I’m paying for that and for data plans. That’s all super expensive. I’m not saying you couldn’t do it with a feature phone, you totally could but I want to say that giving your kids this kind of access is a position of privilege. Christie: Is there anything that you’ve learned since you wrote this piece that you would include in it now? Heidi: I think I would talk more about the difference between regulating what they are doing and when they are doing it. We are sort of having, it’s summer, I never want to sleep. I want to stay up talking to my friends all night. I’m like, “That’s not acceptable. It’s not that I object to you talking to your friends, it’s that 11:00 is not okay for an eleven year old. Christie: Sort of like more contextual decision making? Heidi: Right. I absolutely believe that it is parents’ duty to enforce some standards of sanity and sleep hygiene. Christie: Just because of summer that doesn’t mean that the sleep schedule goes out the window? Heidi: Exactly. If they were civilized about it I would be less intense about it but if they don’t get enough sleep, they are little monsters and so am I. Let’s be honest. Christie: It doesn’t help if you live further away from the equator. You live and the days get really long. Heidi: Yeah, sundown was like 10:00 for a while there. It’s kind of hard to go to sleep before that. I want to say, as a parent, you can absolutely feel justified restricting your kids behavior around technology. Christie: Like saying there is a limit to screen time per day or? Heidi: Yeah, there is a limit to screen time per day or I can’t … You can’t have your phone in your bedroom or whatever it is that you need to do as a parent to keep people sane and happy. I don’t think you need to be rummaging through their phone. Christie: I can’t even imagine could my parents have done that. Heidi: Yes, I’m hoping to see it sometime, everybody should contribute so I can see it online because I don’t have a subscription yet. Christie: I’ve got it in front of me here and it’s pretty funny. Christie: It’s called, Progress is a Comfortable Disease. Heidi: Bonus points for anyone who recognizes where that quote is from. Christie: I do not, we are not going to give it away, shall we see if anyone writes in and tells us? Heidi: Yeah, let’s see if anybody writes in. Christie: How did you come up with this? Tell folks a little bit about what it is? Heidi: This is, you have to understand that I’ve been in technology for twenty years. We were having a huge conversation about markdown, and I’m super cranky about markdown, or as we should say markdowns because there isn’t one markdown. Christie: I have to look it up almost every time. Heidi: I’m just like why are we doing this? Because as far as I’m concerned, we have a beautifully functional lightweight human readable markdown language or markup language and we call it HTML. I learned it in 1994 and I don’t understand why we are reinventing the wheel with markdown. Christie: Do you think it’s because people really hate typing closing tags? Heidi: It might be that. I think it’s because everybody learned how to code with WYSIWYG web editors. Heidi: I do. I think that there was just like this huge WYSIWYG movement five years ago and they just don’t understand. My first word processor was Wordstar 2000, and it hard markup text. Christie: This is the second in a row that Wordstar will have come up, I find that kind of funny, but we are talking about issue four which is about legacy systems. Heidi: Markup, it’s just like a totally natural part of my life as far as I’m concerned. I think a lot of people are like, “It’s code.” I’m like, “No, it’s not code, it’s HTML, it’s practically not code at all.” I was thinking about how much markdown was replicating HTML only badly, and missing features that I need to be able to do things like the whole pre-formatted text thing in markdown is sadly lacking. Christie: It’s a pretty small subset. Heidi: Right, and if you are going to write about software, it’s pretty useful to be able to put code examples in. Christie: To give it a little more context, you have there is a chart and you have a description of things and then the old and boring product that met that thing and then the new hotness. We are talking about syntax that separates text from how to style but is still simple enough for humans to read. Old and boring is HTML and the new hotness is markdowns. Christie: I did wonder how XML ended up in the column the new hotness. Heidi: I still see people generating XML. I think I could have used JSON there, but I don’t know how many people are using JSON as opposed to XML at this point. Christie: XML or JSON or something. Heidi: I thought about doing that and then I thought that was just too much complexity and mostly I pitched this as a humorous rant because I was just so frustrated by, and I don’t want to say like it’s kids these days get off my lawn but I’m like architecturally that’s not a new idea. We’ve solved a lot of those problems. Christie: This one cracked me up, moving pictures used to convey emotion and a wish to catch the eye of the user. Then you have animated gifs as old and boring and then the new hotness animated gifs. Christie: It’s true. My very first webpage had an animated gif of the little construction dude shoveling, you know the one I’m talking about? Christie: That’s one of those things that I’m just somewhat dismayed it has made such a comeback because I find it really clutters up. I hate animated gifs in like chat. Heidi: No, they don’t need to wink at me, I don’t think they are good things. I think it’s an accessibility issue. I love the dancing parrot emoji in Slack, the reacting where the little colorful dancing parrot. You know the one I’m talking about? Christie: I spend as little time as possible on Slack, I actually don’t. I turned all that stuff off. Christie: I think what people don’t understand is that if you already have to spend extra brain power to sort the information from the other stuff that’s in your user interface, adding that blinky cute stuff makes that even harder. Heidi: On the other hand, sometimes I really love reaction gifs. Like there were a bunch last night during Obama’s speech which, like mic drops and stuff like that and I thought they were very fun, because they were sort of a cultural compression like we all shared a language about what that particular image meant and because there was a shared, it was a really fast way to telegraph it. Heidi: It’s truly exclusionary, it’s terrible. It’s terrible if you don’t have the bandwidth for it. My parents, literally, they live a couple of hours north of Portland and there is no cell signal in their town. Christie: There are places on earth that still have this condition? Heidi: Yes. You can go fishing, you can go to the bar or the church and you cannot get a cell signal? Christie: Do they have any kind of broadband or is it just dial up? Heidi: It’s broadbandish, it’s like narrow-band. Christie: Like really crappy DSL or something? Heidi: Yeah, it’s really crappy DSL. It’s almost satellite speed. Christie: Is there anything that didn’t, for this list that didn’t make the cut for publication that you’d like to share? Heidi: I actually, I had several thing and they didn’t change category but it was only going to be funny if I picked one of them. I think it’s amazing how well jpegs have persisted. Christie: Because they are kind of in a crappy format, right? Heidi: They are not beautiful but they are super compressed. Unless you are trying to do like high quality photographic printing, they are good enough for the purpose. I was just rereading the guy who does pin board whose name I’ve now forgotten. I was just rereading his post on the website obesity crisis. I was thinking about storage sizes and webpage sizes. I thought about putting it in a column hunt like, terabyte is the new megabyte. It’s a really specific knowledge, I didn’t think it was funny enough. Christie: Like how you have to write a line between pedantic and really well known. Heidi: Yeah, that’s some of the stuff I left out. I loved that this piece got accepted because it was just frivolous little thing for legacy systems on how we’ve always had the cloud in a sense and we’ve always micro services and if you look back, it may be that you learned something from how we deployed them and how we executed them that would be relevant to what you are trying today instead of trying to invent it from first principles. Christie: Yeah, because you lost a lot of knowledge when you start from fresh principles every time. Heidi: Exactly. Like I find it super frustrating that there is this whole ecosystem around how to deploy agents and yet we are still really struggling with how to deploy micro services and how to get them on different systems and I really feel like the internet of things would have been vastly served by understanding agent software architecture. Christie: Because now we are trying to roll it out at an even wider scale basically. Heidi: Right, but fourteen years ago, I was working with a product, it was a hilarious product. It does message queue monitoring, which is just exciting as it sounds. It originally derived from a monitoring product for sewage treatment plants. It’s whole algorithms had been programmed to monitor the flow of poop and we had just turned poop into data and I just thought that was hilarious. Heidi: Because like you care about the same things. You care about blockages and you care about flow speed and you care about whether you are getting all of, what went in the pipe out of the pipe. It’s all the same thing. Christie: I think most people wouldn’t think to look to that industry for guidance or a knowledge that could be applied elsewhere. Christie: I feel like, and I don’t know if this is unique to this period of history but it feels a little bit that we have such this short sighted view. I don’t know what it is about rapid technological development that promotes this but it’s almost like when projects took decades to complete, you had to hold on to some of that memory. I don’t know. Heidi: I think it has a lot to do with the fact that we are not holding on to our elders. I think it has a lot to do with the fact that if you are over forty, working at a startup, sounds super and appealing because you have better things to do with your time. Christie: I’m not even forty yet and this sounds super unappealing to me. Christie: If you stop promoting them, if you sort of freeze their career aspects at a certain point, they are probably not going to stick around. Heidi: Exactly, I think a lot of that has to do with I think a career cycle at this point is about fifteen years. Heidi: It’s not that you stop working after fifteen years, it’s that you transition out of development. Heidi: I would love to see that data. Christie: In a whole skillset of what you learn in technology and map it to the number of years that it takes. I bet you, we are losing a lot of really important stuff after that fifteen years. Heidi: We are losing a ton of important stuff, and we are losing a ton of money and value. It’s really shortsighted of companies. In the same way that losing women is super shortsighted, losing older workers is super short sighted because they have, not just the institutional knowledge for whatever company they’ve been working for but also the industry knowledge of, “Yeah, I totally did that eight years ago.” Eight years ago I was in a boot camp. Christie: Because people who have been around for three decades, they can also see the cycles that take a decade or a decade and a half to complete. Heidi: I know this article is probably going to appeal to a bunch of people who are roughly my age in experience. What I’d be really interested in is how it reads if you are twenty five. Do I just sound out of touch, do I not understand how the new technology is crucially different in concept? I don’t know. If any of your listeners want to tell us, that’d be great. Heidi: Or give them some money so they can put it online. Christie: I think it’s a good time to have you take The Recompiler questionnaire, are you ready? Christie: What’s your favorite tech? Heidi: My favorite tech is, that’s a very broad question isn’t it? My favorite tech is bicycle. Heidi: It’s the most efficient way to convert calories into motion. Christie: What’s your least favorite tech? Heidi: My least favorite tech is whatever excess D is being output by whatever crappy off brand development tool that my developers are using. I’m like, I just want to be able to get to the text. Christie: What’s one thing about tech that energizes you? Heidi: All the awesome people. I’m so excited about meeting people who are doing interesting things. Christie: What’s one thing about tech that drains of energy? Heidi: All the awful people. I’m really exhausted by having the same arguments over and over again about my worth as a human. Christie: No kidding, what’s one of your favorite every day carry items? Heidi: I carry a slide clicker that I really love. Christie: With a countdown timer? Heidi: With a countdown timer. It’s labeled because sometimes other speakers don’t have them and so I loan it out but I need to get it back because it’s my baby. I felt like a real speaker when I bought myself a clicker. Christie: I’m totally going to go track that down. What is your favorite song or sound to work to? Heidi: I frequently work to those exploitative shows about Alaskans, like Ice Road Truckers or Deadliest Catch, because no matter how much trouble I’m having getting a piece of documentation to work, it’s always better than catching crab. Christie: That might be the title of our show. What is your least favorite song our sound to work to? Heidi: My neighbor has a leaf blower. Christie: What is one project you’ve never worked on that you would like to work on? Heidi: That’s a good question. I would really like to do something for space. Maybe I could write the astronaut instruction guide for Falcon Red. Heidi: I have walked away from security projects that were actually just authentication projects. I will not work on guard security products. Christie: Interesting. Finally, what’s one thing in tech you would like to accomplish by the end of your lifetime? Heidi: By the end of my lifetime, that’s very expansive. I know what I want to do next year. Whoever wants me as a keynote speaker, this is my call out. By the end of my lifetime, I would like to have trained ten other people to write the way I do. Christie: Excellent, you passed. Is there, how can people find you online, is there anything you want folks to check out, a blog or a place, something? Heidi: Yes, you can find by Twitter @wiredferret. I tweet a vast variety of things, technology and also sometimes complaining about my life. You can find my professional blog at heidiwaterhouse.com. I just finished writing up the Seven Righteous Fights into a series of blog posts. I’m going to, later this afternoon, write a blog post on what female conference speakers should consider wearing because it’s way more complicated than it is for dudes. I have a Tumblr which is slightly inactive right now because I’m busy but it’s still fun, called Agile Crafting. It’s my marsh up of crafting, like sewing and knitting and agile methodology. Christie: We’ll get links to, all those links will be in the show notes as well. Heidi: That was super fun, thank you Christie. Christie: You are welcome, thanks Heidi. Christie back with a community announcement and that’s to go buy our latest issue, issue four, on legacy systems. You can get it in the shop, shop.recompilermag.com. Thanks. That’s a wrap, I’m your host, Christie Koehler. You can find me online, on Twitter where I’m Christie with an I, 3K. You can find this and all previous episodes of the recompier podcast on the web, at recompilermag.com/podcast. There you’ll find links to subscribe using your favorite podcast app. You can also find this directly on iTunes. We love your feedback. 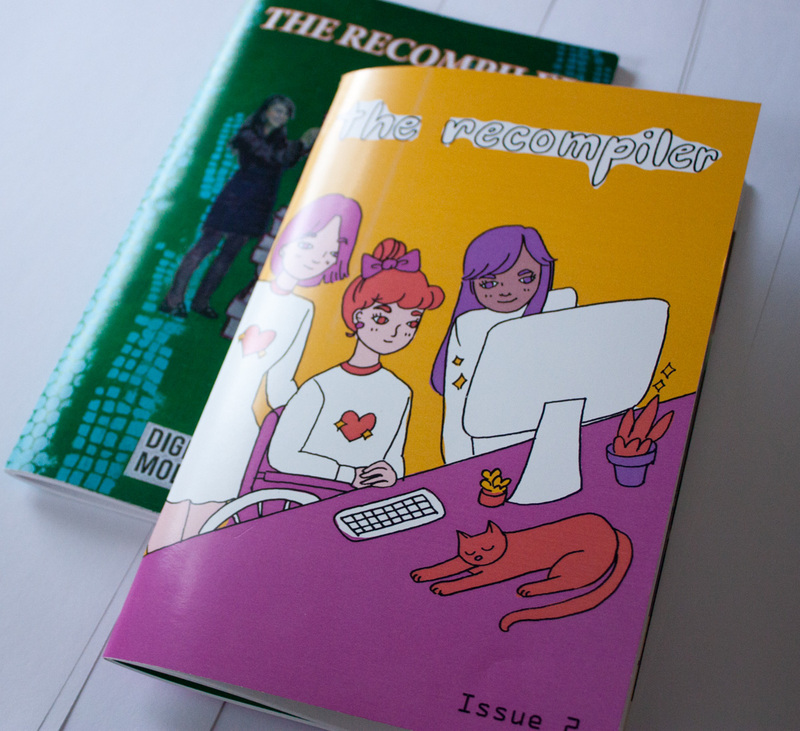 Tweet to @RecompilerMag or send us an email podcast@recompilermag.com. 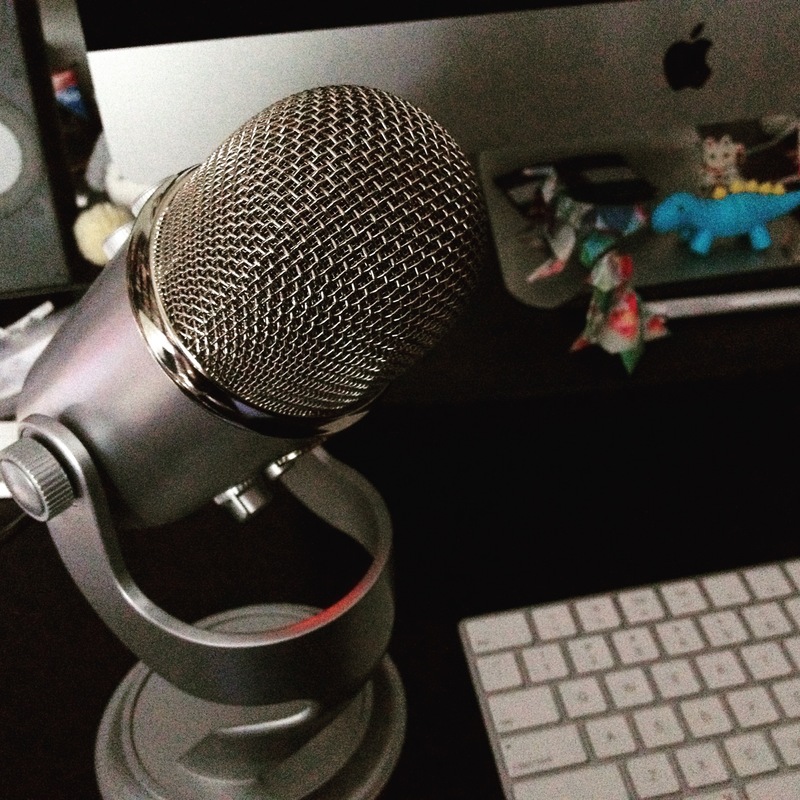 If you like what you hear on the podcast, the best way to support us is to purchase or pay subscription to the magazine and or contribute a few bucks on a recurring basis. You can find links to do either of those things on the website and in the show notes for this episode. It’s been great chatting with you all this week, talk to you again soon.